And found his manners suited to his shape, &c."
In the end, he obtained admission into the Charter-house, and died there Feb. 12, 1723-4. 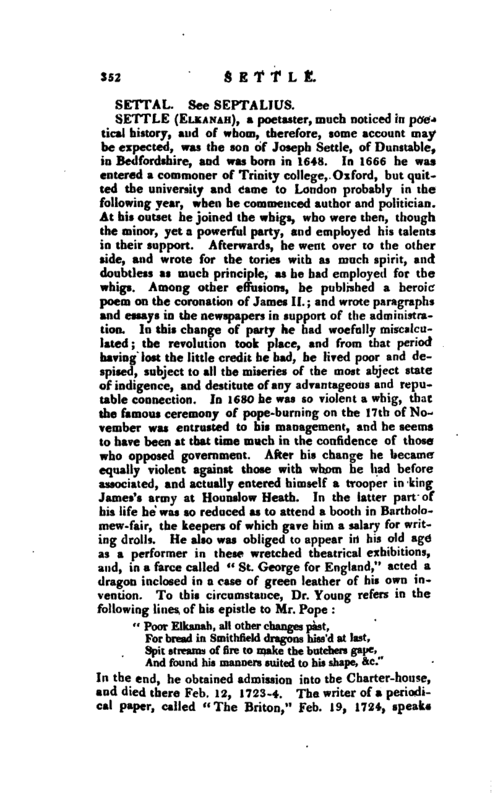 The writer of a periodical paper, called The Briton,“Feb. 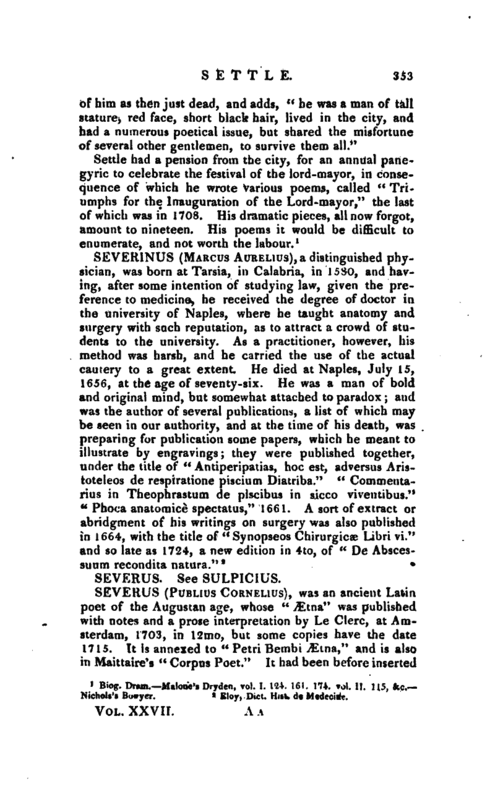 19, 1724, speaks | of him as then just dead, and adds,” he was a man of tall stature, red face, short black hair, lived in the city, and had a numerous poetical issue, but shared the misfortune of several other gentlemen, to survive them all." Biog. Dram. Malone’s Dryden, vol. I. 124, 161. 174. vol. II. 115, &c. Nichols’s Bowyer.